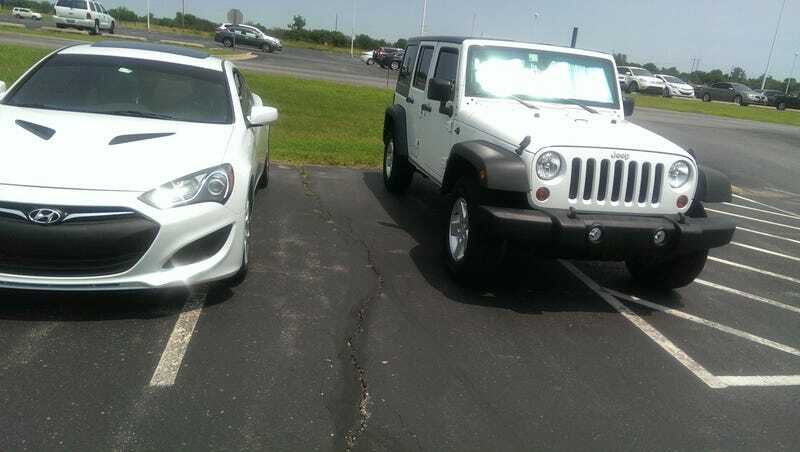 Is there any problem with the parking job of this jeep? I say no, there’s no a space next to it. I’m the white car by the way. I appreciate the extra room. The parking lot is notorious for some very bad parkers and might graze your car. A lot.